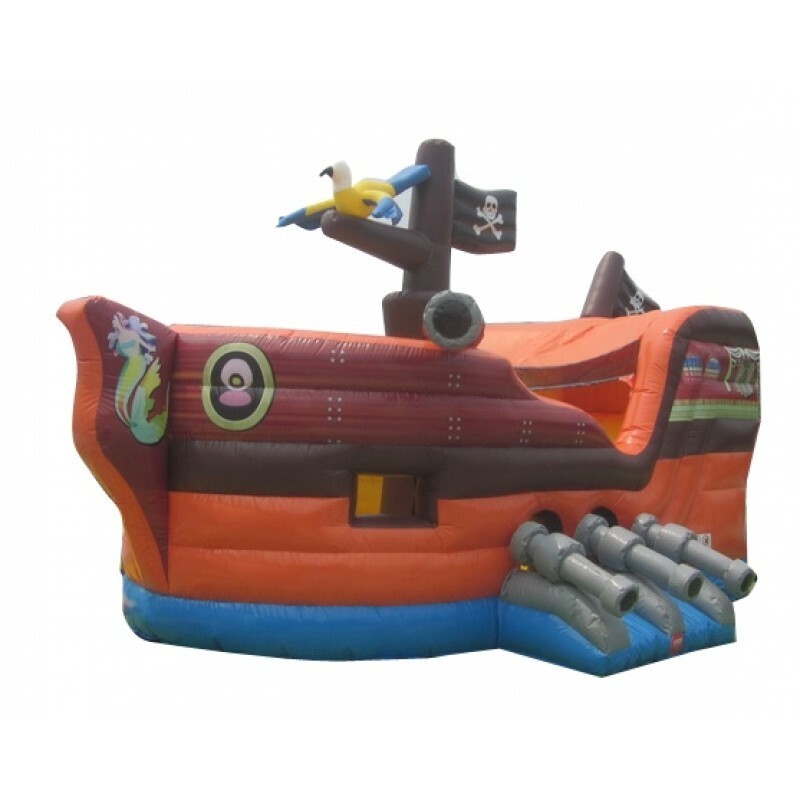 Avast ye scurvy dogs and hit the high seas for an adventure on the Pirate Bounce House Slide Combo inflatable. 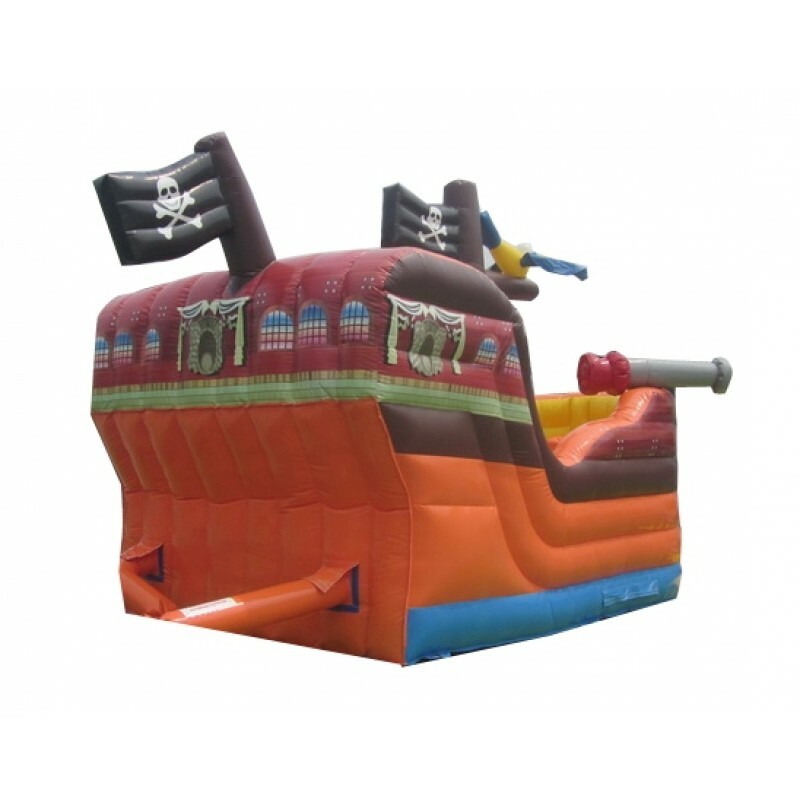 Complete with pirate flags, cannons and, of course, a parrot in the crow's nest, this bouncy house will provide hours of fun, pretend play and allow kids imaginations to run wild! 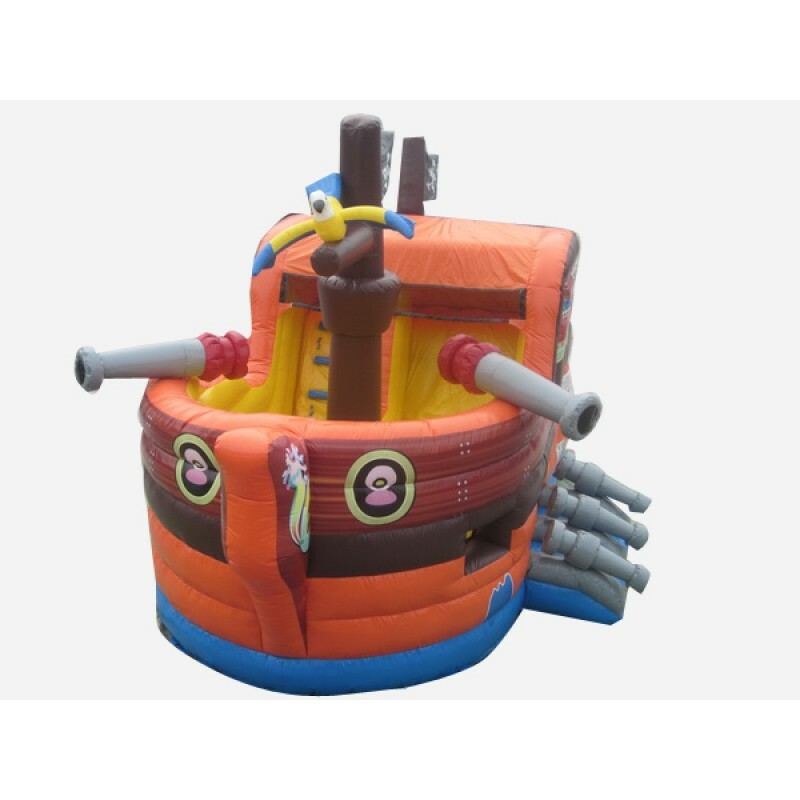 Kids can board the ship between the cannons, and enjoy hours of fun climbing and sliding, throwing the ball through the attached hoop, peeking through the portholes, and just plain bouncing. 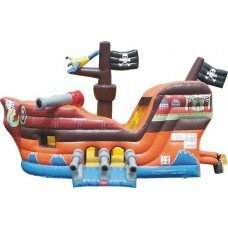 Little girls and boys will love this pirate-themed inflatable that features everything from pirate flags, cannons, and even a parrot in a crow’s nest for the complete ambiance. 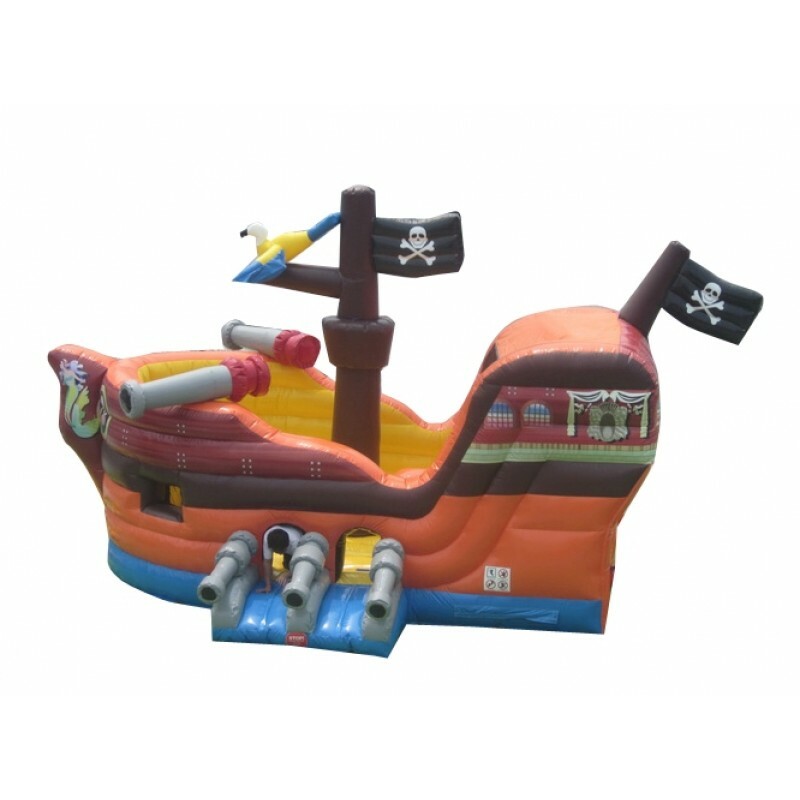 The bounce house is shaped like a pirate ship and even has flags with skulls on it. The slide, bounce house combination offers hoops for some basketball fun, and portholes through which kids can peep out and parents can look in to keep an eye on the kids. 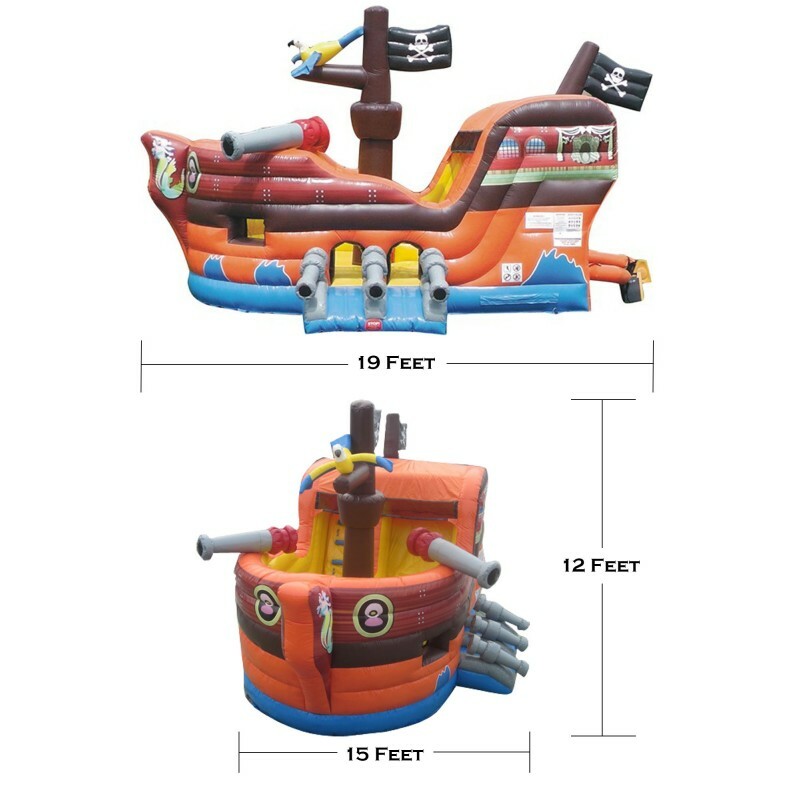 The fun inflatable will be perfect for a pirate-themed birthday party, a fair, or even a Halloween party.